The Cinque Terre (five towns) is a string of five fishing villages perched high on the Italian Riviera (region Liguria) which until recently were linked only by mule tracks and accessible only by rail or water. 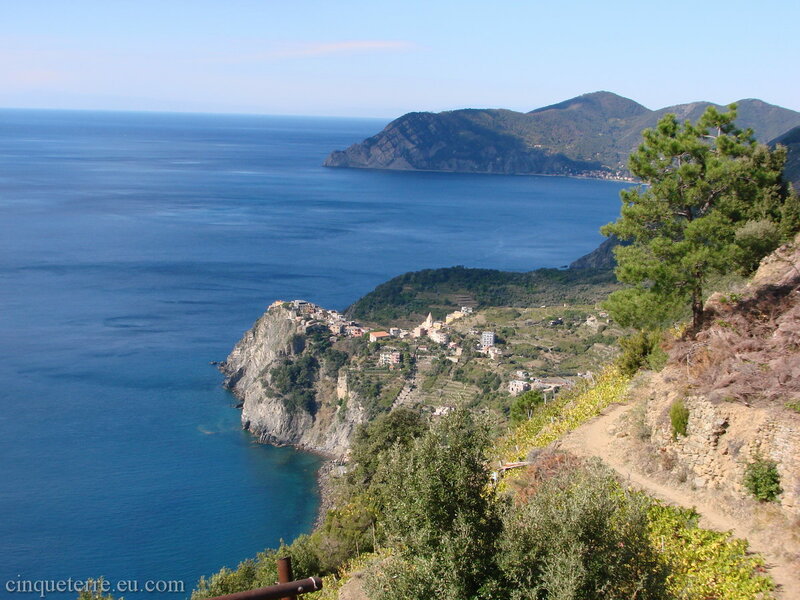 An ancient system of footpaths is still the best way to visit the five villages: click here for Monterosso, Vernazza, Corniglia, Manarola and Riomaggiore. 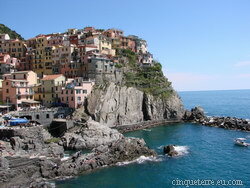 The Cinque Terre is noted for its beauty. Over centuries, people have carefully built terraces to cultivate grapes and olives on the rugged, steep landscape right up to the cliffs that overlook the Mediterranean Sea. 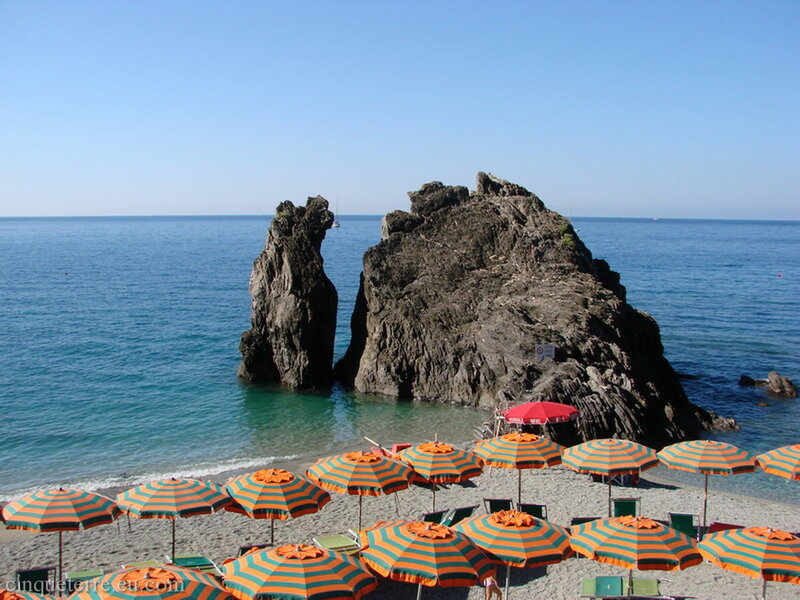 The breathtaking views of harbours far below the wild but hospitable coastline along with the medieval fortresses and plentiful vines and vibrant colours make this a memorable holiday. 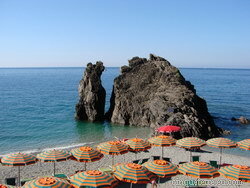 The Cinque Terre, recognized in 1997 by the Unesco Mankind's World Heritage, are today a National Park and Protected Marine Area with the aim of protecting this great cultural heritage and natural environment.